This post with smart tips for how to pick the perfect domain name is part of a sponsored post written by me on behalf of Name.Kitchen. Next year I’ll be celebrating my 5th year of blogging and there have been many awesome ups, with some downs, along the way. I’m so thankful to have been able to make a successful career doing several of the things I love such as helping others, cooking and writing. It has certainly been an interesting journey getting to this point. One of the most important things I have learned along the way is just how important your brand and domain can be. Just about everyone can find a use to have a domain these days whether it’s to help get your resume seen by more eyes, start a small business, or you’re like me and want to start a blog. As such, I wanted to take some time today to talk about some smart tips for how to pick the perfect domain name. 1. Pick a name that easily conveys what your website is about. When I first started blogging, it was under MoneySavvyMichelle.com. While I loved that domain for a couple of years, as time went on, I knew I needed to rebrand to a name that better fit what my content had transitioned to because not everything I was posting about was super frugal. If someone sees your domain name, are they going to see the content they expect if they go to your site based on the name alone? 2. Make sure your domain is easy to spell. There are a variety of ways for people to get to your website today. Thanks to social media, they may not even have to type in your URL to get to your site for the first time. Hopefully, though, they liked your website enough to go back, but may not have bookmarked or followed you. I know with most of my favorite sites I visit daily, I usually just type in the domain to get there quickly. However, if the domain is super long or has funky spelling, I’m certainly less likely to remember it, nor potentially revisit. I like to try to stay away from numbers and hyphens as those aren’t easily verbally communicated. Where did that hyphen go again? Was the the number 7 or was it spelled out? Unless you buy all the possible domains and redirect them to your main one, you could be losing potential traffic! 3. Try to stay away from confusing domain names. When I first started building up MoneySavvyMichelle.com, it never really occurred to me that people would read Savvy as Saving, but it happened ALL the time. I even had people incorrectly spell my site name when including a recipe in a roundup! As such, I know first hand how important it is to try to stay away from confusing domain names. Are you wanting to use words that people commonly misspell? Are you using a word that people commonly pair with a different word? (Such as money saving vs money savvy.) One way to help with this is to ask your friends and family, especially those that don’t regularly work with creating domains, if it’s something they find easy to remember and spell. 4. Keep your social media network names in mind. When it comes to branding, it’s important to keep all names and URLs as similar as possible. These days there are a ton of social media networks, and most pages need to have their own unique URL. With this in mind, I do usually try to keep the same username on all the networks. This makes it easy for me to remember for my own sharing, but also helps readers and brands find you more easily. 5. Don’t feel like you have to be a .com. Now that .com’s have been out for several years, picking a catchy not-to-long domain can be pretty slim pickings. I know I’ve wanted to bash my head against my desk more than a few times trying to find a .com domain that wasn’t 500 characters long that I liked. 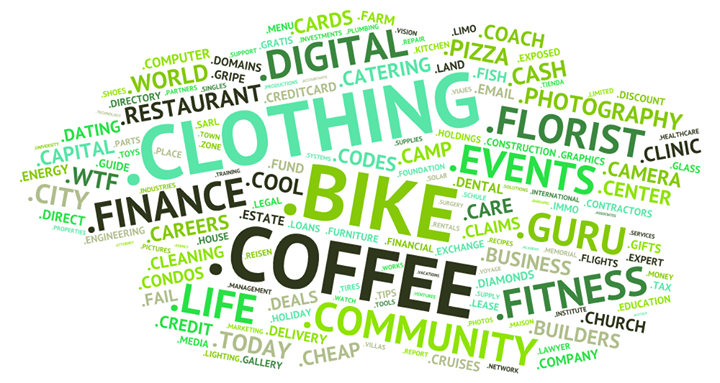 Luckily, in late 2013 a rollout of hundreds of new not-com domain endings started rolling out. You can find a list of the various domain endings along with their release date over at donuts.domains. My favorite part is that with such a selection, you can truly create a unique and memorable domain that fits your brand perfectly. Plus, since they are so new, some of your favorite ideas are actually probably still available! If you’d like some help in coming up with the perfect domain name, be sure to check out Name.Kitchen’s tools and tips. As a person that loves cooking, I think that Name.Kitchen is pretty cool because they provide a kitchen atmosphere around domain and business name creation. I’m personally looking into creating a .life or .fyi domain for something a little more niche to write about, while I think .pizza and .coffee are perfect for restaurants . 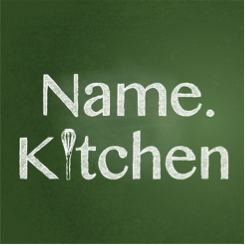 If you’re ready to get cooking and have a domain name in mind you’d like to register, head on over to Name.Kitchen’s Claim Your Name page. If you need a little more inspiration, Name.Kitchen’s “I am.__” video series is a pretty cool series that showcases businesses talking about how they leverage creativity in naming with innovation. 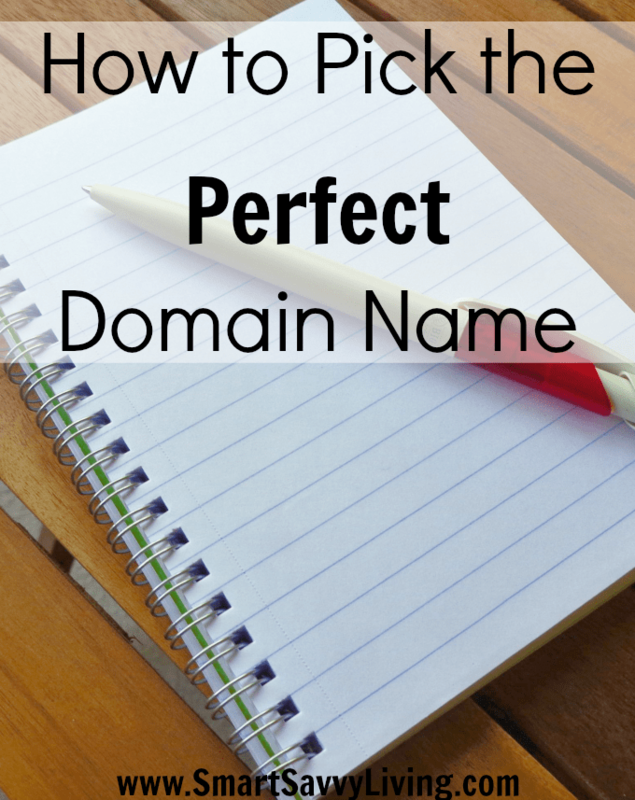 I hope these smart tips for how to pick the perfect domain name help you out. If you do end up building a site with one of the new domain endings, leave your link below. I’d love to check it out! Those are GREAT tips! When I was picking my site name I took a lot of time to decide on the name and I still love it almost six years later, but I wish I would have thought more about the domain. Susie is often spelled wrong, and many people add the last word of my blog name which isn’t in the domain. I wish I thought about the future before I named my blog. I was about to be a mom of two so I would be pulling “double duty” but…. now I have 3 kid, lol. I wholeheartedly agree. I also like domain names that have room to grow. I know I’ve taken on new angles over the years. Those are great tips! I picked mine without much thought but I love how it’s turned out. These are great tips! I didn’t think as much as I should have and while I love my domain name, I wish at times it was shorter. These are some great tips! Choosing the perfect domain name is so hard! These are some great tips to remember. I actually bought a new domain and it was so hard or find a good name that made sense.